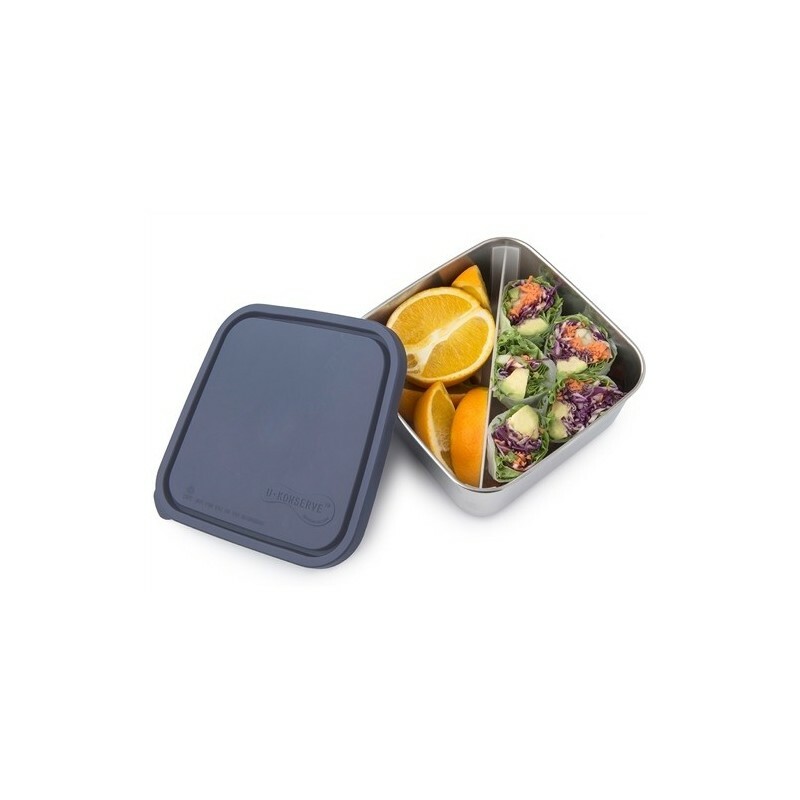 U Konserve stainless steel food container is BPA free, lead free, PVC free and phthalate free. 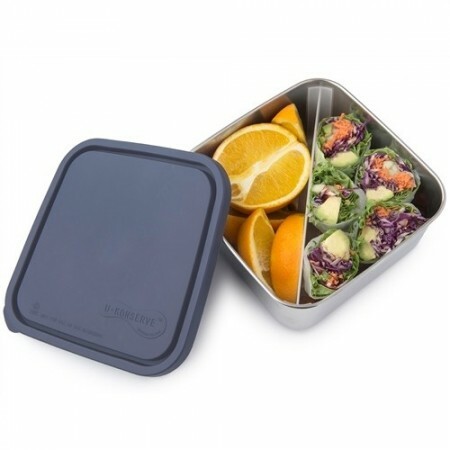 Lunchbox includes moveable and removeable divider for bento style lunch. Ideal for lunches, leftovers, take away and travel. Ocean blue lid - 1.4L/50oz capacity. Lids are made from LDPE* recyclable plastic #4. Container includes a diagonal plastic divider: perfect for separating sweet and savoury or wet and dry foods. 1.4L/50oz capacity. 15.5cm L x 15.5cm W x 7.5cm H. Divider is 17.5cm long and 6.cm heigh. This one is great because you can remove the divider and pack a single large item or add the divider to pack a few smaller items. Very flexible.